This article is a guide on how to set-up a PHP based repository on code climate such that it reports the test coverage. This article is a guide on how to set-up a PHP based repository on code climate such that it reports the test coverage. 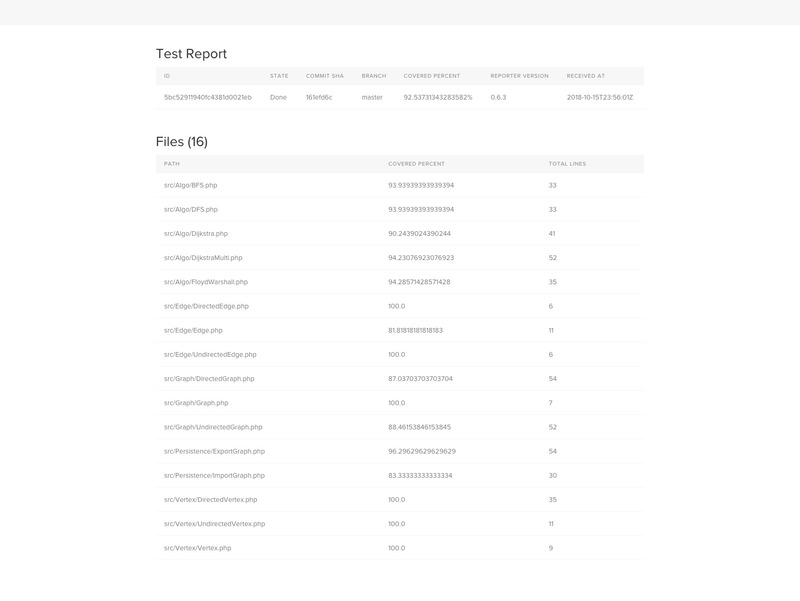 When you push a commit to your repository on GitHub, the Travis CI pipelines will run and generate the test coverage report which will then be sent to the code climate platform. NOTE: Copy the .travis.yml file from Example 2 since it uses Clover for test coverage. In the global section of the .travis.yml file, replace the CC_TEST_REPOTER_ID variable with the ID which you copied from step 1 above. Change the php version under the php block to your desired version. Also, under the before_install section, add the script composer install --no-dev such that your composer dependencies are installed before tests are run. - "phpunit --coverage-text --coverage-clover build/logs/clover.xml"
You can get this .travis.yml file on github. In the example above, ./src is the path to the directory where your source files are found and ./vendor is the path to a directory which you want to ignore. Next time when you push a build on Travis CI, it will run your tests and send the coverage report to Code Climate. Why I don’t share my deeper issues with others.